Platform Fire Out: What Went Wrong? Vessels work to extinguish a fire aboard a Renaissance Offshore production platform Thursday. Now the investigations begin after a fire on a Gulf of Mexico platform off the Louisiana coast is out. The good news is no pollution has been detected, the U.S. Coast Guard said. The Renaissance Offshore LLC platform suspended production on the burned platform and on a second platform in the area, the company said. It also said the 17 wells from which the two platforms pumped crude have been shut in and all workers evacuated. 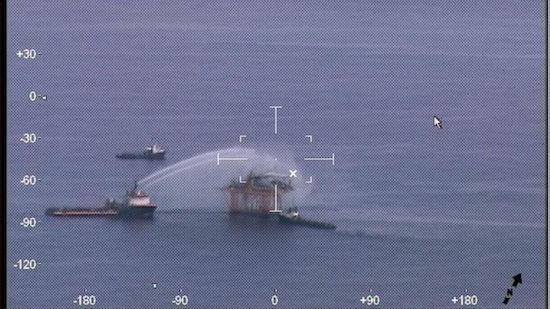 Renaissance Offshore and government agencies said no oil leakage had been detected from the platform or the wells underneath it. The platform, located about 80 miles south of Grand Isle, caught fire early Thursday morning, which led to the evacuation of the crew of four that was onboard the facility. The crew tried to put out the fire themselves but after it became clear their efforts would not be sufficient, they evacuated by a supply vessel, the Mary Wyatt Milano, which then, together with another three vessels, fought the fire, Renaissance said. The four workers ended up forced to jump into the water and were then picked up by the supply vessel. No one suffered an injury in the incident, officials said. 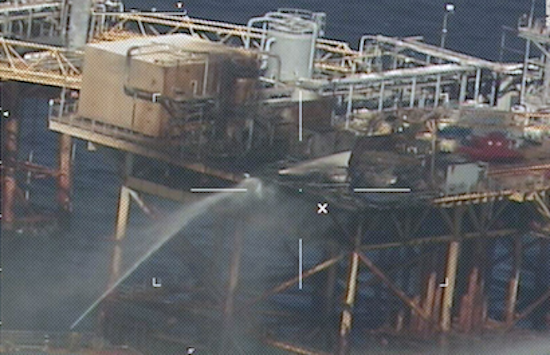 Close up shot by the Coast Guard of damage aboard the Renaissance Offshore production platform that caught on fire Thursday morning. Renaissance Offshore, a small exploration company, just signed a deal that could turn it into a major player in the coming EV boom as vital commodity supplies run low. Renaissance Offshore identifies and acquires under-developed assets with upside potential in the Gulf of Mexico, according to its web site. The company focuses on a strong emphasis on oil production. Renaissance said opportunity remains for enhanced recovery from existing fields and infrastructure. They target acquisitions at older, legacy fields where the company can revive production.